A new international awards program recognizes the research achievements of early-career women scientists from developing nations with low scientific output in Africa, the Middle East, Asia, Latin America and the Caribbean. 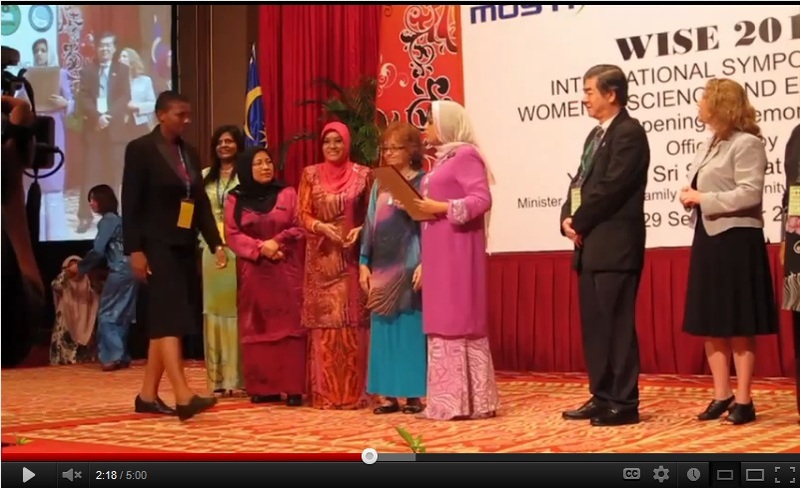 This video features a similar program the sponsoring organizations ran in 2010 and 2011, with footage from the award ceremony at the International Symposium on Women in Science and Engineering (WISE 2011) in Kuala Lumpur. Update: The deadline for 2012 awards has passed. The nominations for 2013 awards will open April 2, and the theme will be Chemistry. The 2012 awards focus on the life sciences. Nominations will be accepted through October 15. To qualify, nominees must have received their doctoral degree within the previous 10 years and come from one of 81 nations in Africa, the Middle East, Asia, Latin America and the Caribbean. A committee of top life scientists from the designated five regions will review the nominations and select the winners based on the quality of their research. Each winner will receive a cash prize of US $5,000 and reimbursement for the cost of attending the annual American Association for the Advancement of Science (AAAS) conference in February 2013 in Boston. In addition, Elsevier will provide one year of access to ScienceDirect. A new awards program takes those factors into account by recognizing the research excellence of early-career women scientists from 81 developing countries. The program is run by TWAS, the academy of sciences for the developing world, the Organization for Women in Science for the Developing World (OWSD) and the Elsevier Foundation. The program builds on the Elsevier Foundation-OWSD Awards for Young Women Scientists from the Developing World, which granted awards in 2010 and 2011. However, it has significant differences designed to focus more on specific disciplines while giving greater visibility and networking opportunities to the winners. Prizes will be awarded annually on a rotating basis among the disciplines of life sciences, chemistry and physics/mathematics. Each of the five winners will present their papers at the annual conference of the American Association for the Advancement of Science, which is attended by leading scientists, engineers, educators and policymakers from around the world. Although there will be five prizes instead of 12 as in the previous program, the prizes are expected to carry more weight. “This is going to give a major career boost for these women,” said Ylann Schemm, Manager of the Elsevier Foundation. “They’re going to be meeting people who are at the top of their field,” she explained, mentioning the AAAS conference, organized lab visits and networking opportunities. 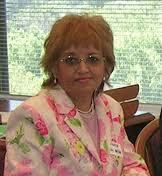 OWSD Vice President Dr. Farida Habib Shah of Malaysia said bringing higher visibility to young women scientists would provide inspiration to others and “give them the recognition required to break the glass ceiling.” In her case, as a fellow of TWAS, she was recently elected to the TWAS Council for East and Southeast Asia. Women and girls in developing countries confront “cultural and stereotyping mindsets” that create pressure to conform to traditional roles in the family and society, Dr. Shah said. These are present from the early school years and result in a lack of academic preparation for a science career, especially in math and physics, she said. The shortage of female scientists and engineers, who can serve as role models, means fewer women are likely to choose careers in these fields, according to Dr. Shah. Poverty and tradition often intertwine to prevent women from continuing their education in developing nations, said Dr. Ismael of Egypt. “Because of poverty, parents prefer that males continue but not women,” she said. 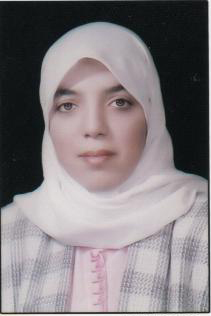 Women who complete their undergraduate education and wish to continue with graduate studies are subject to family pressure to marry for fear they will not find a husband later, said Dr. Ismael, who received a UNESCO L’Oreal Fellowship for Young Women in Life Sciences in 2004 and a Fulbright award for postdoctoral studies in 2008-09. Married women who have completed their studies and want to pursue a career in science “really need a man who believes in them and the importance of science to them and that’s not too many,” she said. The work place often presents a whole new set of problems. “Men probably don’t like to compete with women and they sometimes underestimate them,” Dr. Ismael explained. In Dr. Shah’s view, stemming the loss of talented women in science in developing countries will require changes at the level of the family, educational institutions, public and private sectors of science and technology, and governments. Currently, she is developing a mentor system to coach young women in science in Asia. “We need to explain how to manage the work-life balance, how to overcome or work with the challenges, and motivate them to be leaders in scientific research,” Dr. Shah said. Susan Elan received a Master of Public Health degree this spring from the New York Medical College School of Health Sciences and Practice. 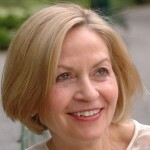 Previously, she covered politics and government at daily newspapers in the New York metropolitan area for more than a decade. She is fluent in French.